Remember when we were slaves in Egypt, our men working in the brickyards under relentless quotas and merciless taskmasters? Remember the death edict that stole our sons and the risks we took to save as many as possible from the Nile River? Remember when Pharaoh said he’d never let us go? How he determined to keep us in perpetual misery? He called us insects. He declared us a security threat. Remember? Remember when we made bread in preparation for our escape? And we painted blood on our doorposts as a prayer, though some called it a spell to ward off another wave of evil. Remember when Aaron yelled in the streets and Moses banged on doors with his staff? The noise was deafening as we gathered what we could and left the house. Remember how there was no time to double check, just obey the commands shouted by the men. Remember when we left in such a hurry there wasn’t even time for the bread to rise? We’ve lived on this side of freedom for so long, it’s easy to forget how hard life was. It’s easy to forget how hard it was to leave the only place we ever called home. Remember when we walked out of Egypt? We jostled against one another in a crush of families as we crowded the roads out of town. There was so much walking with no time to stop. Remember the blisters and the bloodied feet? Remember when we feared Pharaoh would change his mind before sunset and send his horses and chariots after us? Remember when we held our babies and unleavened bread in our arms but kept looking over our shoulders for the soldiers? Remember when we tried to keep track of all our children amid the convoy of families, incessantly counting? Remember when no one knew when or where to stop? We knew the hell we were departing from but clueless about what awaited us. Was liberation on the horizon or would we languish in the desert? Remember when we hoped God would be faithful, but still felt uncertainty? And then we picked up the pace because we heard the rattle of the chariots. We’ve lived on this side of freedom for so long, it’s easy to forget how hard our exodus was. It’s easy to forget how hard it was to leave the only place we ever called home. The horses and chariots caught up with us just as the sea opened. Miriam led the way through the waters. She was familiar with water crossings and acts of deliverance. Undaunted and with her drum in hand, she marched in a cadence akin to dancing. We made it across The Red Sea, a caravan of refugees aching for life, longing for liberation at long last. God was good to us, welcoming us to a new home and giving us a new future beyond slavery. God was good to us, welcoming us to a new home and giving us a new future beyond slavery. So we remember our enslavement and emancipation. 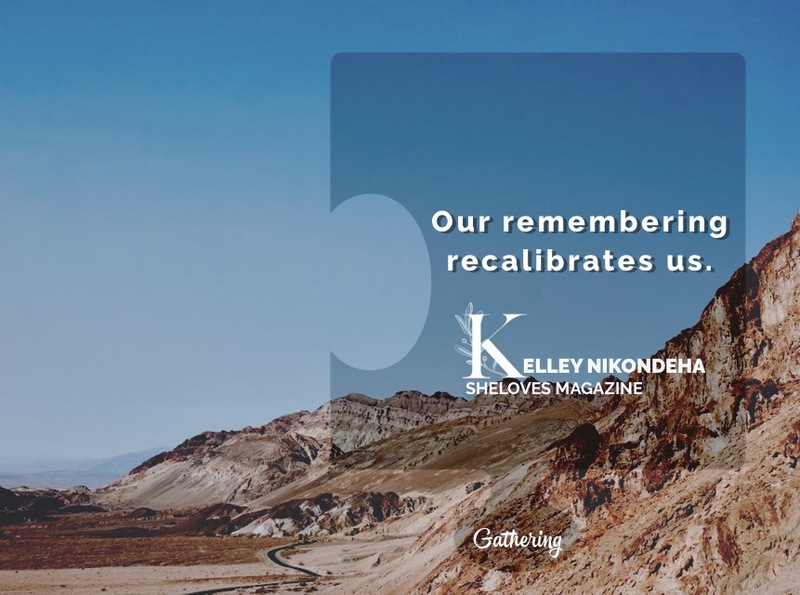 Our remembering recalibrates us. We know in our ancestral body what it is to be vulnerable and fear for the safety of our family. That memory generates empathy in us when we see others fleeing their own Egypt and modern pharaohs. Nothing about exodus, then or now, is easy. We confess, some days our exodus is on the distant shore of our memory. Once resettled refugees, now our families are rooted here. We fancy ourselves citizens with lands to protect. So sometimes when we light the candle and tell the story, the memory chides us.